When young families start moving into a new housing community the demand for local daycare services increases immediately – especially if both parents work and a full time nanny (or grandparent) is not an option. This is why a prefabricated modular building and a portable classroom are used by daycare center operators throughout the United States as a fast and effective way to provide safe and secure learning spaces where and when demand peaks. 1. Design – what is the ideal floor plan for your new childcare center? Consider everything from the amount of occupants you want to accommodate to what your licensing requirements are. Have a good idea of the exterior finishes, interior finishes, layout, window and door locations and technology needs. 2. Property – do you have an available location that will accommodate the amount of square footage you need and the infrastructure to support the new center? What needs to be accomplished in order to make the property ready for opening the center? 3. Permits and Licensing – what local building and safety requirements will need to be met in order to obtain permits and have permission to open your center? What state and federal licensing will you need to obtain before opening the new center? 4. Schedule – when do you need to be open for business? Using a prefab modular can be rapid when compared to conventional construction but the suppliers do need time to complete the job correctly and on time. Rushed schedules typically create problems in any construction environment. 5. Budget – what can you afford and what is the best method of paying for the project? For example, do you need to buy or lease the property? Are you open to financing the prefab building? Can you afford to pay for all of the one-time property development, utility, delivery and installation costs? 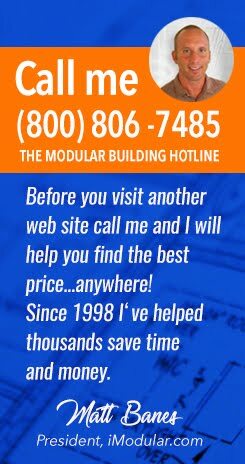 *This page will help you get budgetary numbers for a prefab modular daycare center.